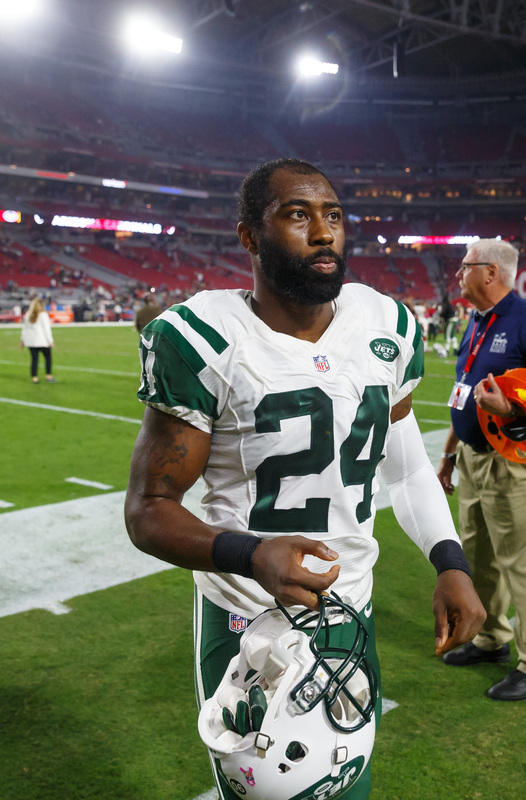 Jets CB Darrelle Revis Ready To Retire? Revis, 31, has started 10 games this season without registering a single interception, and most observers believe that he’s posted the single worst season of his All Pro career. Among 120 qualified cornerbacks, Revis ranks just 82nd according to Pro Football Focus‘ grades, a far cry from his days of living near the top of that list. And the Jets’ defensive backfield as whole, once thought to be the strength of the New York roster, places just 29th in passing DVOA, thanks in large part to Revis’ poor play. Revis has already had to answer questions about retirement this year, and just last month denied that he was ready to hang up his cleats soon. 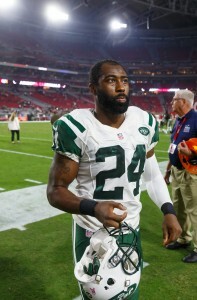 Additionally, general manager Mike Maccagnan has said that he doesn’t have any concerns about Revis’ commitment level. “I’m sure there’s plays he’d like to have back, but you watch a lot of other plays where he does give effort,” Maccagnan said earlier this month. But Revis was evasive when asked about his future with the Jets, and the club could clear between $7-9MM by releasing him next offseason (depending on when the cut occurs). However, as Jason Fitzgerald of Over the Cap explained yesterday, New York will likely need to wait until the 2017 league year begins to cut ties with Revis due to the fact that his 2017 guarantee comes in the form of base salary, not prorated signing bonus. The Vikings announced that head coach Mike Zimmer is undergoing emergency eye surgery and could be forced to miss tomorrow night’s game against the Cowboys. General manager Rick Spielman stated that he has met with the club’s coaches and players, and Minnesota has a “contingency plan in place” in case Zimmer is unable to coach. This is at least the third eye operation for Zimmer, as Tom Pelissero of USA Today tweets. Zimmer previously had eye surgery in early November after tearing his retina during a game, as Dave Campbell of the Associated Press detailed at the time. 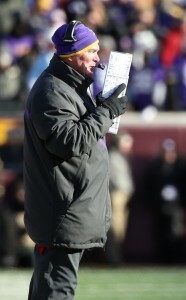 Zimmer was able to coach the Vikings’ subsequent game, but did note that he had not sought immediate treatment, he may have been at risk for blindness. As noted, the Vikings have plan in place in the event that Zimmer is sidelined, and the club does have two former head coaches on staff. Offensive line coach Tony Sparano was previously the head coach of both the Dolphins and Raiders, while offensive coordinator Pat Shurmur once led the Browns. Former offensive coordinator Norv Turner also had head coaching experience, but he resigned earlier this month. PFR extends its best wishes to Coach Zimmer and hopes for a safe, quick, and thorough recovery. 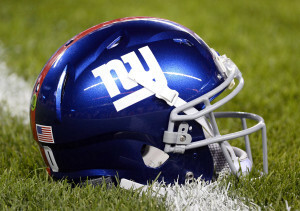 The Giants auditioned safeties Cedric Thompson, Duke Thomas, Ryan Murphy, and Trae Elston today, a source tells Jordan Raanan of ESPN.com. New York is on the lookout for defensive back depth given that top reserve Nat Berhe suffered a concussion during Sunday’s win over the Browns. At present, the club only has two other two true safeties left on the roster in the forms of starters Landon Collins and Andrew Adams. The Giants are so depleted in the secondary, in fact, that the current backups at safety are cornerback Leon Hall and linebacker Eric Pinkins. A concussion caused Berhe to miss three games earlier this season, so it’s possible that his most recent brain injury could force him to be sidelined for even longer. None of the options worked out by the Giants today have any NFL experience, however, so they may not be able to help immediately. New York doesn’t have any safeties on its practice squad — the only defensive back on the taxi squad is Michael Hunter, a natural cornerback. Bills head coach Rex Ryan says he told offensive tackle Seantrel Henderson that while the club supports him, every player must abide with the rules of the NFL, tweets Mike Rodak of ESPN.com. Henderson, of course, was handed a 10-game suspension earlier this week following a second positive test for marijuana. Ryan, though, calls Henderson a “unique circumstance” given that he may have been using marijuana to treat his Crohn’s disease. Given Ryan’s supportive words and Henderson’s cheap salary for 2017, it’s a good bet that he’ll return to the team next year despite his latest setback. Ryan also told the media that wide receiver Dezmin Lewis, activated from the practice squad this week, “has to poop or get off the pot,” (Twitter link via Rodak). Lewis, a seventh round pick in 2015, has shown flashes of ability but has yet to truly break out. Reading between the lines, Rodak feels that Buffalo is giving him one last shot to get it all together. If he doesn’t, he could be dropped from the Bills’ 53-man roster and left without an invitation to join their practice squad. Bills wide receiver Sammy Watkins did not practice today because of his ailing foot, as Vic Carucci of the Buffalo News tweets. Watkins, who returned on Sunday to post three receptions for 80 yards, was expected to be limited during the workout, but him not practicing at all could be an indication that his status for this weekend is in doubt. Earlier today, the Bills signed offensive lineman Isame Faciame to their practice squad. The Dolphins will promote wide receiver Rashawn Scott from the practice squad, a source tells Barry Jackson of the Miami Herald (Twitter link). Miami already has an open roster spot given that it waived defensive tackle Leon Orr earlier today. Starting wide receiver DeVante Parker suffered a back injury during the second half of Sunday’s win against the 49ers, and though he’s listed as day-to-day, he didn’t participate in Wednesday’s practice. Parker has struggled with injuries in the past, and Scott’s promotion — coupled with the fact that the Dolphins worked out a quarter of pass-catchers yesterday — could indicate that Parker’s availability for Week 13 is in question. If Parker misses this weekend’s contest the Ravens, Miami will rely on Jarvis Landry, Kenny Stills, Leonte Carroo, and Jakeem Grant. 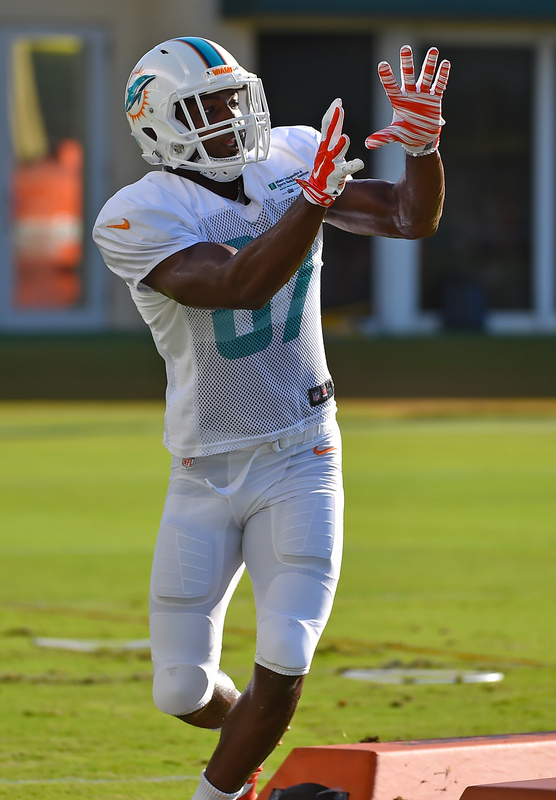 Scott, 24, was a 2016 undrafted free agent out of the University of Miami. He was waived during the Dolphins’ final cutdowns in September, and has spent the entirety of this year on Miami’s practice squad. 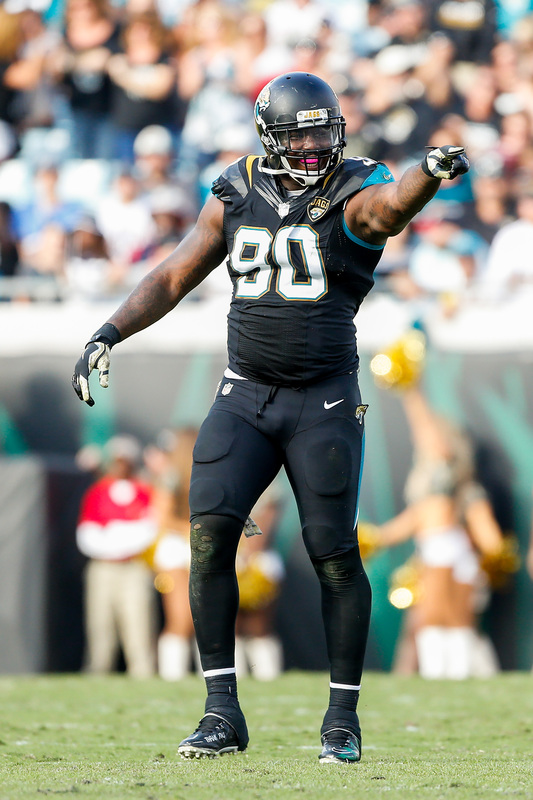 The Broncos let defensive end Malik Jackson walk in free agency, but they didn’t do so without putting up a fight. Speaking today to reporters, including Cameron Wolfe of the Denver Post (Twitter link), Jackson said he declined a five-year, $53MM contract offer from Denver before the start of free agency. Jackson went on to sign with the Jaguars for six years and $85.5MM. Jackson, 26, admitted that had the Broncos offered the same contract prior to the 2015 season, he likely would have accepted, but acknowledged that “things changed” as the campaign progressed. For one, Denver extended fellow defensive end Derek Wolfe on a four-year, $36.7MM deal, and Jackson “thought [he] would demand a few more dollars than [Wolfe],” tweets Nicki Jhabvala of the Denver Post. Second, Jackson played extremely well, grading as the league’s No. 16 interior defender per Pro Football Focus, and skyrocketed to the No. 2 overall position on PFR’s Top 2016 Free Agents. Of course, while it’s difficult to compare the specifics of Denver’s offer to Jacksonville’s offer without knowing the exact nature and structure of the Broncos’ proposal, it’s safe to say that Jackson made the right decision in heading to the free agent market. He scored $31.5MM guaranteed from the Jaguars, and he’ll earn $44.5MM in the first three years of the deal — both figures would have been extremely difficult for Denver to match given their spate of 2016 free agents. Jackson, for his part, has held up his end of the deal thus far, ranking as PFF’s 24th-best interior defender on the season. However, the Broncos are getting along without him, as they’ve posted a 7-4 record while fielding the NFL’s No. 2 defense by DVOA. 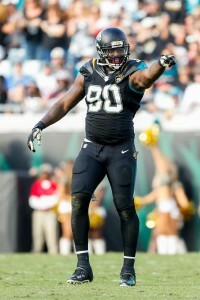 The Jaguars, on the other hand, are last in the AFC South with a 2-9 mark, and despite Jackson’s contributions, their defense ranks only 16th in DVOA. Kelly has already been forced to deny rumors that he would leave the NFL and return to the collegiate ranks, as he told reporters last month that he isn’t “going anywhere.” However, as the 49ers continued to struggle this season, NCAA clubs have reached out — privately and indirectly — and been informed that Kelly has no interest in becoming a college coach. 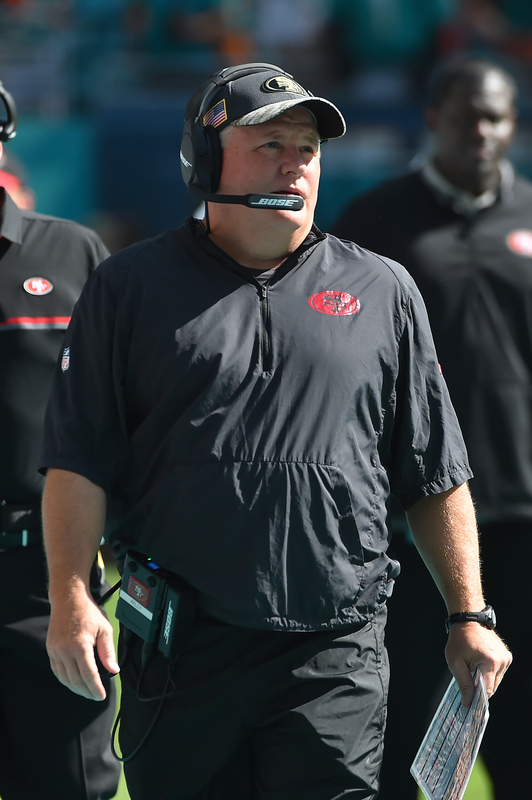 Kelly signed a four-year, $24MM contract prior to the 2016 season, but San Francisco has played uninspired football during the first year of his tenure, posting only a single win so far. Kelly, of course, did experience success during his four seasons with Oregon, managing a 46-7 record while appearing in one National Championship game, a loss to Auburn. Since joining the NFL as the Eagles’ coach in 2013, Kelly has registered a 27-31 overall record, earning one playoff appearance during that stretch. The Marcel Reece tour continues. Today, the fullback tried out for the Seahawks, Field Yates of ESPN.com tweets. Reece was hit with a PED suspension that cost him part of the 2016 season. 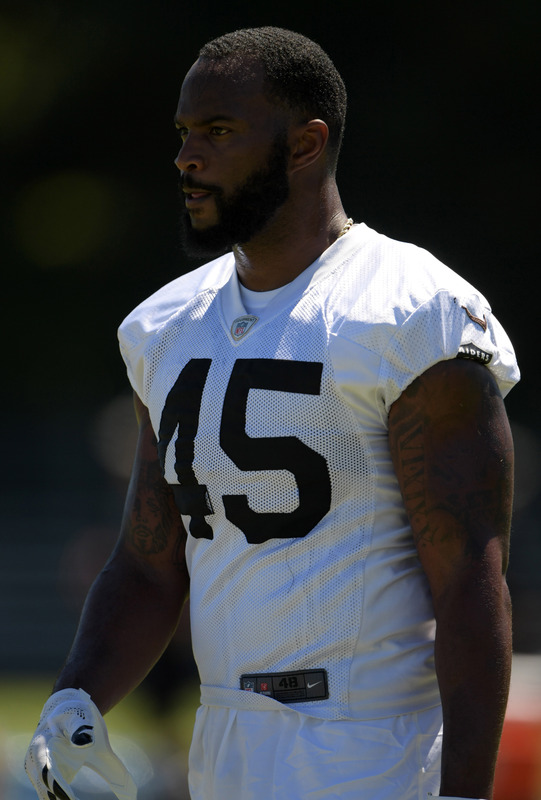 When he was eligible to return in late September, the Raiders released him. Since then, Reece has auditioned for the Patriots, Jets, and Bengals, but has yet to find an NFL home. Reece, 31, is a multiple-time Pro Bowler thanks to his blocking ability and pass-catching acumen. In 2015, Reece caught 30 passes for 269 yards and three touchdowns and also added 36 rushing yards. A versatile back who can play a variety of roles, Reece averaged 34 receptions per season from 2010-15. The Seahawks already have a fullback on the roster in Will Tukuafu, but he has appeared in just 45 offensive snaps this year. Seattle could be looking at Reece for a more traditional fullback role.